Are you a student interested in sustainability issues? 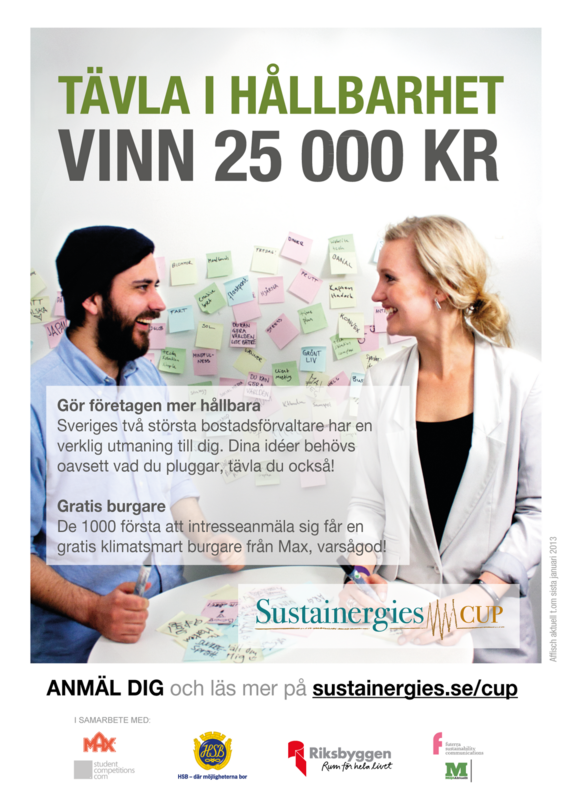 Sustainergies has just launched their annual competition where students help companies come up with sustainable ideas for the future. The cup is launched internationally so you can participate even though you are not in Sweden. You are also allowed to join no matter what subject you are studying, the winning prize is 25 000 Swedish crowns. If you are interested to learn more and download the case you can read more on their webpage.